“Shelter your troops and Leader! !” that's something which guild leaders and R4 just don't stop shouting around. It's something really important to put in practice and get to know it's use. Why is it important? why those so-called big players dont stop saying that ?! As a beginner, when there was danger lurking around, the leader would tell us to “Shelter your troops and Leader”. I was like…Why…Why should i shelter my army!? I got an army to defend my castle right! If i hide them, the invader would take everything!! Well, first thing first. As a beginner, your troops are T1.. and your invader is coming with T2 or T3 troops(…worst T4), those troops are far more powerful and you dont stand a chance. 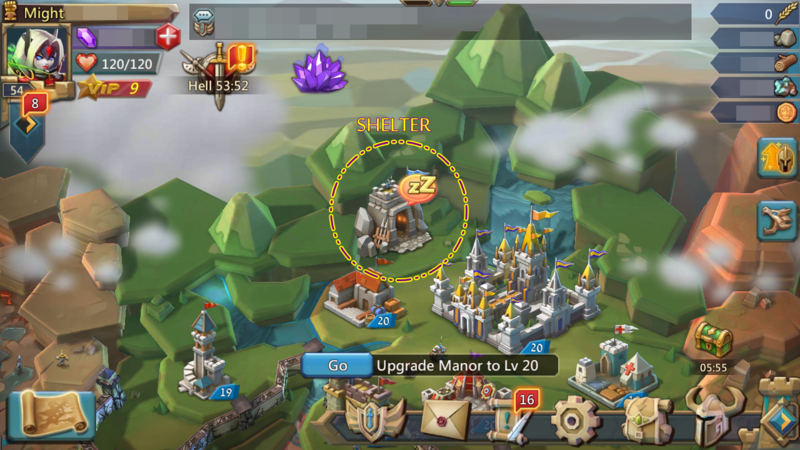 If you dont shelter your troops and leader, this would be big loss for you. The more we play, the more we realize the importance of “SHELTER” and everything that comes with it. The “Leader” part. Each Hero has different skills. In attack, traps, construction speed, research speed, boost in production of resources (rock, gold, etc..) Choose the hero to be your leader wisely and change accordingly. Same goes for Gears/ Equipements, do build different types of gears and set them according to what you need. 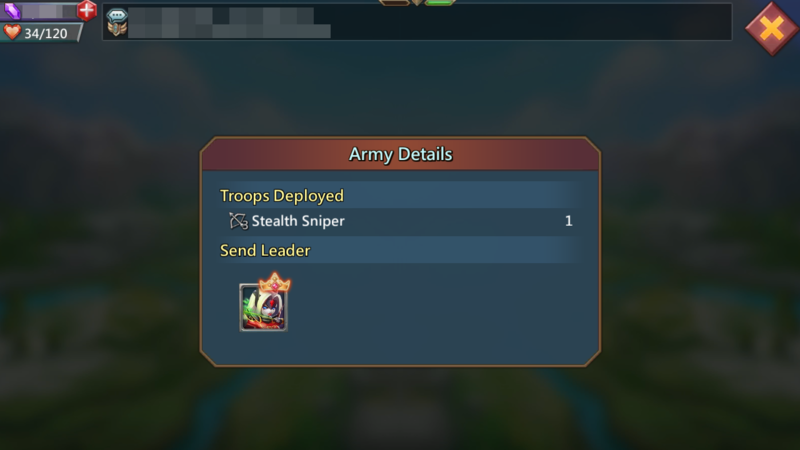 When you just came online and about to use your troops, “Recall” troops from “Shelter” and send back your Leader with 1 troop (only one soldier). Your Leader should remain in shelter, you never know when an invader may drop by and attack you. If your Castle is BELOW level.17: Do not worry, your leader will escape. Do not pay any ransom! Or if you got strong guild members , you can rally the invader and save your leader. Or if a strong ally is ready to help you out. Just make it a habit to Alway shelter your Leader, no matter what. And always shelter both your troops and leader if you are about to go away. Always shelter them for 12 hours. Whether you are going away for 1 hour or 5 minutes, just put them in shelter for 12 hours! Next Next post: [Topic] How Will You Rule a Kingdom if You Were an Overlord?